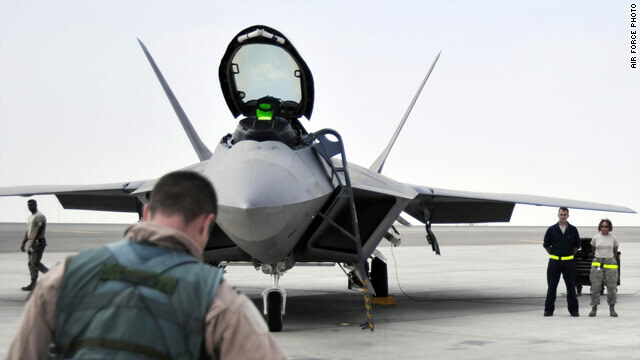 An imperfect valve, a filter meant to protect pilots from chemical and biological threats, and decades-old vest technology combined to cause problems that grounded the state-of-the-art F-22 fighter jet, according to Air Force Maj. Gen. Charles Lyon, director of operations for Air Combat Command. "We determined with confidence the source of the unexplained physiological incident resides in the F-22 cockpit," Lyon said. The Air Force has been investigating why a number of F-22 pilots have experienced a mysterious loss of oxygen while in the air, causing dizziness and confusion known as hypoxia, since spring 2011. Oxygen problems that have caused hypoxia-like symptoms in pilots and ground crew members have occurred for the past four years. 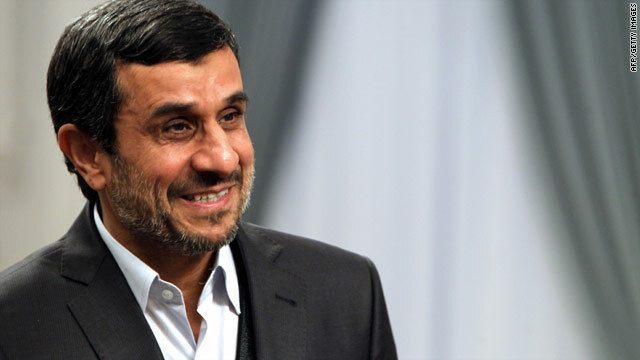 Obama said China's Bank of Kunlun and the Elaf Islamic Bank in Iraq "facilitated transactions worth millions of dollars" for Iranian banks already under sanctions. "By cutting off these financial institutions from the United States, today's action makes it clear that we will expose any financial institution, no matter where they are located, that allows the increasingly desperate Iranian regime to retain access to the international financial system," Obama said in a statement issued by the White House. On a conference call with reporters Tuesday, Ben Rhodes, deputy national security adviser for strategic communications, said the purpose of additional sanctions was to "affect Iran's calculus" to get Tehran to negotiate seriously over its disputed nuclear program. The U.S. secretary of defense arrived in Cairo Tuesday for his first meeting with the first democratically elected president in Egypt's history. Afterward Leon Panetta had positive words for Mohammed Morsy, who represented the Muslim Brotherhood in the election. "I was convinced that Morsy is his own man, and he is the president of all of the Egyptian people and that he is truly committed to implementing democratic reforms here in Egypt," Panetta said. The meeting with Morsy was a top priority for this leg of Panetta's week-long trip to North Africa and the Middle East. From its base in Yemen, al Qaida in the Arabian Peninsula represents a "serious threat" the State Department said in a report. 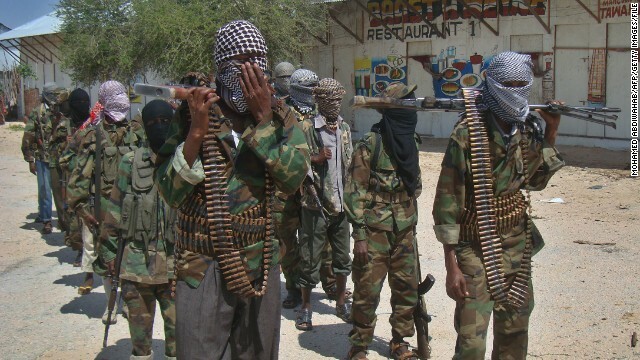 "As al-Qaida's core has gotten weaker, we have seen the rise of affiliated groups around the world. 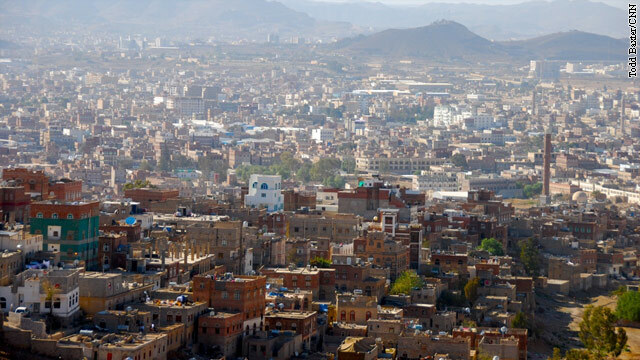 Among these al-Qaida affiliates, al-Qaida in the Arabian Peninsula (AQAP) represents a particularly serious threat," the survey of terrorism worldwide warned. The overview of terrorism and terrorist groups around the world found that bin Laden's death last year in a raid on his compound in Abbotabad, Pakistan, by U.S. Navy Seals, coupled with the killing of top al Qaeda operatives in Pakistan, "puts the network on a path of decline that will be difficult to reverse." The report says the June death of Iyas Kashmiri and the August killing of Atiya Abdul Rahman, al Qaeda's second-in-command after bin Laden's death, are among the top blows dealt to the organization in Pakistan. 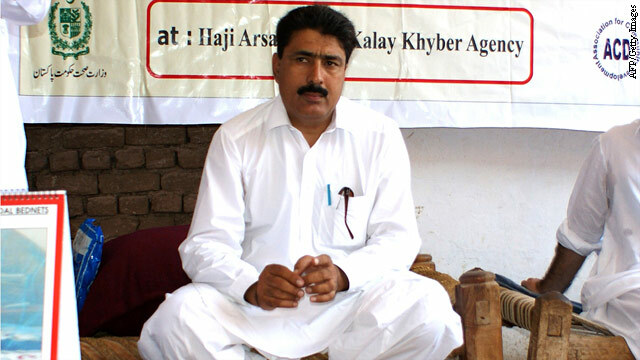 Dr. Shakil Khan Afridi has been in jail since just a few weeks after the raid that killed Osama bin Laden, and a new report obtained by CNN sheds some light on just what he is alleged to have done. Not long after his arrest, officials told CNN Afridi was charged with treason for helping the CIA locate bin Laden in his compound in Abbottabad through a fake vaccination campaign. Bin Laden was killed in the subsequent U.S. raid on the compound in May last year. But a report recently filed with a Pakistani appeals court alleges that Afridi's contact with "American spies" began long before the vaccination event. 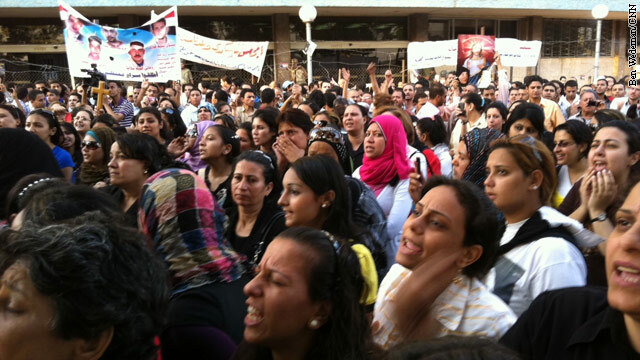 Coptic Christians demonstrate in Cairo on Monday, May 9, 2011 in protest of Muslim-Christian clashes that left several dead days before. Efforts to transition from dictatorship to democracy after the Arab Spring have endangered religious minorities, the State Department says in its annual report of religious freedom. "In times of transition, the situation of religious minorities in these societies comes to the forefront," says the State Department's first report since the Arab Spring uprisings. "Some members of society who have long been oppressed seek greater freedom and respect for their rights while others fear change. Those differing aspirations can exacerbate existing tension." While the report notes Egypt's interim military leaders had made gestures towards greater inclusiveness, it points to an uptick in sectarian tensions and violence in Egypt, particularly against Coptic Christians. 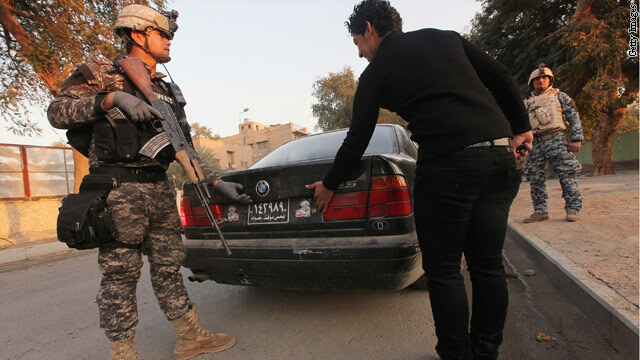 An Iraq Police officer searches a car at a checkpoint in Baghdad, Iraq. A U.S. government watchdog says more than $200 million was wasted on a program to train the Iraqi police force, with security concerns and a lack of interest by the Iraqi government the main culprits for the program's shortcomings. In an audit released Monday by the office of the Special Inspector General for Iraq Reconstruction, or SIGIR, auditors also said the Police Development Program faced challenges at the outset due to the lack of an assessment of Iraqi police force capabilities, and of a written commitment from the Iraqi government for the program to move forward. Stuart W. Bowen Jr., who as inspector general leads the SIGIR office, signed the report that was sent to Secretary of State Hillary Clinton and the U.S. Embassy in Iraq. The purpose of the program is to help Iraqi police services develop the capabilities needed to lead, manage and sustain internal security and the rule of law. The State Department is hoping to reach those goals by 2016. U.S. Secretary of Defense Leon Panetta says that when Bashar al-Assad loses his grip on power, he wants the Syrian military to remain in place. "I think it's important when Assad leaves - and he will leave - to try to preserve stability in that country. And the best way to preserve that kind of stability is to maintain as much of the military, the police, as you can, along with the security forces, and hope that they will transition to a democratic form of government. That's a key," Panetta told CNN's Pentagon Correspondent Barbara Starr in an exclusive interview in Tunis, Tunisia, Monday. He said the United States shouldn't allow a repeat of the Bush administration's moves in Iraq, where it disbanded the Iraqi military. "It's very important that we don't make the same mistakes we made in Iraq," he said. "And that, particularly, when it comes things like the chemical sites. They (the Syrian military) do a pretty good job of securing those sites. If they suddenly walked away from that, it would be a disaster to have those chemical weapons fall into the wrong hands - hands of Hezbollah or other extremists in that area." Panetta had some advice for the Syrian dictator whose nation is in the midst of a deadly civil war. "I'm sure that deep down Assad knows he's in trouble and it's just matter of time before he has to go," Panetta said. "I would say if you want to be able to protect yourself and your family, you better get the hell out now." Panetta is in Tunisia for the start of a week-long trip to the Middle East and North Africa. Earlier, on the flight to Africa, Panetta told reporters traveling with him that Syria will be on his agenda on every stop. "The United States and the international community has made very clear that this is intolerable, and have brought their diplomatic and economic pressure on Syria to stop this kind of violence, to have Assad step down and to transition to a democratic form of government," he said. "The key right now is to continue to bring that pressure on Syria, to provide assistance to the opposition, and to provide whatever kind of humanitarian aid we can to assist the refugees." Watch Barbara Starr and her exclusive interview with Secretary of Defense Leon Panetta tonight on CNN’s Situation Room with Wolf Blitzer. As roadside bombs continue to be the top killer of U.S. troops in Afghanistan, a Republican House member is asking for a congressional inquiry into why an Army report favoring a system that increases detection of the bombs was altered to seem less effective, presumably to push an already existing Army system that troops said was inferior. Rep. Duncan Hunter, R-California, a member of the House Armed Services Committee, also is asking congressional investigators to look into why some Army units that requested the bomb-detection system were denied access to it by the Pentagon bureaucracy. The investigation request surrounds a new privately developed software system called Palantir, which according to U.S troops and commanders who have used it, is more effective in helping troops in Afghanistan track and predict the location of deadly roadside bombs than the existing Army system. Earlier this year, after ordering the system pushed out to units in Afghanistan that had been urgently asking for it, Army Chief of Staff Gen. Raymond Odierno requested the Army's Operational Test Command to report on Palantir by surveying troops who have used it.